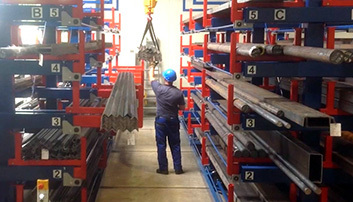 The cantilever with pivoting arms is suitable for storing pipes, profiles, tubes, profile tubes and many others, such as axes, angle iron or a pack of angle irons. 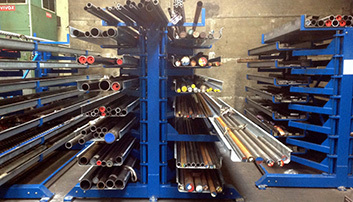 The drawers of these racks need to be extended manually. 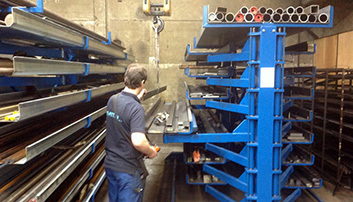 Each drawer can be extended completely, in order to move the profiles out of the rack. 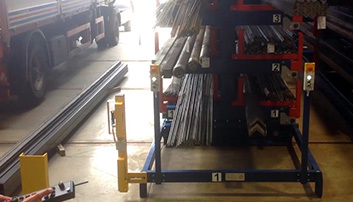 In this way, the drawer is completely open, so that the profiles can be loaded or transported quickly and with ease, for instance with the loading crane. 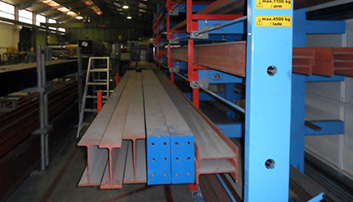 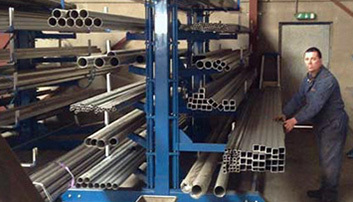 With this rack, you can securely store long profiles of 3 or 6 meters. 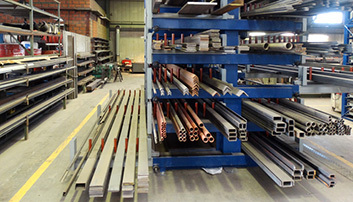 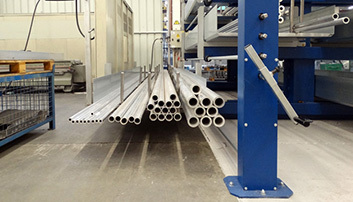 For the storage of profiles longer than 6 meters, the roll out rack is more suitable. 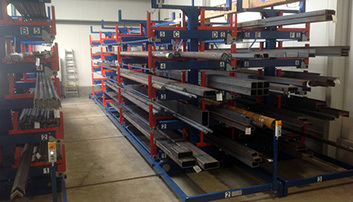 For this rack, the customer may choose the dimensions, the height between the drawers and the loading capacity.